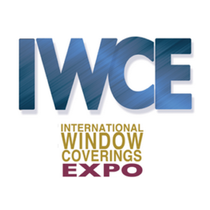 The International Window Coverings Expo (IWCE) is the only tradeshow and conference for the window covering industry in the U.S. In conjunction with Window Fashion VISION magazine, the tradeshow offers a forum for new products, top educational programs and addresses issues and opportunities to help industry members improve their businesses. Changzhou Bestex Technical Textile, Co., Ltd.
Jim Fine Wooden Products Co., Ltd.
Liyang Xinyuan Curtain Products Co.,Ltd. San Benito Shutter Co., Inc.
Sunmate Window Coverings Technology Inc.
Tiantai Chengyi New Materials Co.,Ltd. Zhenjiang Royal Window Furnishings Co.,Ltd. You're Invited!! Meet & Greet Book Signing with LuAnn Nigara! Join us Room 11 from 12pm - 1pm. Beth Hodges is the owner of Soft Furnishings, located in Elberton, GA. She operated Soft Furnishings for the first eight years as a one-person retail workroom. Now in business almost thirty years, Soft Furnishings has expanded to employ up to seven people and provides wholesale workroom services around the country. This gives Beth a unique insight into the workings of both one-person workrooms and larger, higher-end design businesses. Beth is the former lead installation instructor at the Custom Home Furnishings Academy and has been a popular seminar presenter since 1992. She served as President of the Window Coverings Association of America for two consecutive terms as well as holding many other offices on the Board of Directors. Named as Entrepreneur of the Year by the Elbert County Chamber of Commerce, Hodges became the Director of Education for Döfix USA in 2013 and is currently offering seminars and private training across the country for Döfix while remaining the principal of Soft Furnishings, which flourishes. Cheryl Meiklejohn has been the Owner and Manager of a professional drapery workroom and designer fabric studio, Rainbow Draperies Ltd. in Edmonton, Alberta for 21 years, offering consistent quality products to over 120 Interior Designers and Decorators in Western Canada. Cheryl is very customer-service focused, conscientious, detail-oriented, energetic, mature, organized and very passionate about teaching designers and decorators about drapery requirements. Cheryl is a mother of 2 daughters and a grandmother to 2 little girls. She loves to travel and enjoys her summer weekends at the cottage where she enjoys entertaining and cooking for family and friends. Jana Platina Phipps is an embellishment expert known for her refined vision in the use of trimmings in home furnishings and fashion. She is a designer and an agent for Classical Elements, which supplies trimmings and drapery hardware to the home furnishings industry, customizes private label programs for interior design distributors, and sells to retail stores nationally. She develops custom trimmings for NYC-based fashion companies, and also designs bespoke home and fashion accessories herself, using trimmings and vintage jewelry. She teaches others her technique of Trim Alchemy, the concept of turning something ordinary into extraordinary using trimmings, to express their personal creativity. Affectionately called “Trim Queen” by her clients, she started her blog in 2013 and uses her social media channels to chronicle how the design community uses trimmings creatively. With her knowledge of the history of passementerie and hands-on experience with fabrication, she lectures at The New York School of Interior Design and Continuing Education Seminars and Webinars to the interior design community. She is a regular contributor to WF Vision and Designers Today Magazines, and Universal Furniture’s Smartstuff Social Station blog. She conducts DIY workshops and stages a Trim Alchemy Show at Country Living Fairs across the country. Jana is planning a Trim Queen Maker Tour of Venice, Italy for Fall 2018. Other involvement: ● High Point Market Design Bloggers Tour Spring + Fall 2017 ● 2016 ITA Outstanding Trimmings Representative of the Year ● ITA Board of Directors, Publications Chair ● Co-chair WithIt New York Design Tour ● WithIt Future Leader Award ● Former WithIt NE Regional VP Jana resides in the Hudson River Valley, north of Manhattan, with her husband, writer Lang Phipps, and two children, Wilton and Giovanna, in an old Bavarian-style home called The Gingerbread House that is in need of TLC and more trimmings. Working as an interior designer, drapery workroom, and upholsterer for over 20 years Jill has a strong passion for the soft furnishing industry. This diverse skill set is apparent in each room in which she designs for the clients in which she has the pleasure of working. She has been a fixture within the WFCP certification program for many years teaching a wide variety of classes at both IWCE as well as online. Recognizing a need for increased accessibility to a wider variety of products and services for her colleagues, Jill recently started My Designer Concierge, a virtual design showroom, digital newsletter and social media management company to the trade. John Loecke and Jason Oliver Nixson are the duo behind the North Carolina-based interior design firm Madcap Cottage. Known for their whimsical use of color and pattern, the Madcap gents—along with their pound-rescue posse, Jasper, Weenie, and Amy Petunia—scour the world for eclectic finds that capture their unique and gimlet-eyed viewpoint. Imagine a British country house that pairs Granny’s antiques and a spirited dash of Chinoiserie chic with a dash of Morocco-meets-India élan. Shake, stir, then pour. “If you are looking for beige and boring, bark up someone else’s tree,” quips Jason. “We live and breathe ‘whimsy,’ but our projects are bespoke, sophisticated, and perfectly catered to our clients’ sensibility and ‘brand.’ They are also spectacularly livable. John and I have dogs and nieces and nephews—we get it.” Standout Madcap Cottage interiors include a jewel-hued loft in Manhattan’s SoHo neighborhood; a color-rich, playful beach house in Southampton, New York; a sophisticated 1920s-era bungalow in Des Moines, Iowa; a historic shotgun-style cottage in New Orleans’ French Quarter; and a Georgian estate just outside of Washington, D.C.
LuAnn Nigara is the co-owner of Window Works NJ, an award-winning window treatment, and awning retailer. She is also the host of the podcast, A Well-Designed Business ®, found on iTunes and Google Play. LuAnn’s energetic and no-nonsense style has made the 5-star rated podcast #1 in the design industry with over 500,000 downloads to date. Madeleine MacRae serves as CEO, Founder and Chief Innovator for MM MacRae, a national learning, coaching and consulting firm focused on the development and growth of pros and companies serving the home professionals industry. Madeleine has more than 12 years of experience leading, consulting and growing pros, contractors and corporations and has developed a time-tested process and “language” for effectively bridging the gap between the needs and expectations of the corporate world and the needs and expectations of their greatest asset—their pros in the field. Madeleine derives her energy from educating, inspiring and leading her clients. She is deeply connected and responsive and has a unique 360-degree view and understanding of objectives, goals, and stakes. Immersed in a world that is connected by products and services, but divided by a distinct disconnect in language, needs and motivators, Madeleine and her team serve as a compelling, engaging and proven bridge to awareness, education, loyalty and growth. Michele is the owner of The Scarlet Thread, LLC and is a strategic business coach focusing on profitability for her clients. With a degree from The University of South Carolina in Management Information Systems and Administrative Management along with owning a drapery workroom for 17 years, Michele has combined her love of creativity and textiles with the nitty gritty of business management to help other creatives learn the technical and financial sides of business. Michele has a degree in Coaching and is a Profit First Certified Coach. She is the past president of the national WCAA and a member of the Atlanta and Virtual chapters of WCAA. Michele is also a member of WFCP, Design Collective, and Designers’ Workroom Council. Michele Williams is fiercely committed to guiding creative business owners in the understanding of complex business concepts and processes in a simplified way. She strives to help them be profitable which allows for a healthier work-life balance. For more information go to www.scarletthreadconsulting.com. O’D is a master of motorization and a leader in the motorized window covering field. He has over a decade of hands on experience with motorized window coverings including fabrication, installation and selling. His classes are highly sought after and the attendees really appreciate his ability to take complex information and make it very easy to understand. He works with clients worldwide and has been involved with motorization of yacths, RV’s, custom homes and mansions, government facilities and corporate commercial buildings. Staci Faulkner is the owner and operator of Staci Faulkner Designs in Ruston, LA, and is also the WFCP Workroom Director. She has been involved in the interior design business for 23 years. Staci studied Fashion Merchandising at Louisiana Tech University. After graduating and creating custom clothing and wedding gowns, Staci turned her interest to sewing for the home, sparking a passion for interiors. She now owns and operates a wholesale workroom in Ruston, LA, and along with her daughter-in-law, Megan Faulkner, has a retail store, Garden Baby, which features a line of organic baby & toddler clothing made by Staci & Megan. The downtown store front houses both businesses. Welton Hong, founder of Ring Ring Marketing ® (www.RingRingMarketing.com), is a leading expert in helping window covering companies convert leads from online directly to the phone line. Based in Silicon Valley, Ring Ring Marketing has successfully helped many window covering companies increase their revenues in a short amount of time. Welton is the author of “Making Your Phone Ring with Internet Marketing for Window Covering Companies”. He has a graduate degree in Electrical Engineering from the University of Colorado at Boulder. Prior to starting Ring Ring Marketing, he was a senior technologist at R&D facilities for Intel, Sun Microsystems, and Oracle. Aerolux India Pvt Ltd in Udyog Vihar Gurgaon, Delhi is a top company in the category Furniture Dealers, also known for Venetian Blind Dealers, Venetian Blind Manufacturers, Furnishing Exporters, Garden Furniture Dealers, Roller Blind Manufacturers and much more. Who Are Alpha Tubular Motors? ALPHA tubular motors offer reliable, intuitive motorisation solutions with a highly competitive edge. Our focus is providing the market with a genuinely high quality motorisation product that can boast the sort of build quality and reliability that until now has only been available through certain European giants, but at a much more realistic price. Since 1980, our custom fabric workroom has brought unique design ideas to life for the interior design and decorating industry. Our COM (Customer's Own Material) custom fabrication workroom produces window treatments, bedding and other accessories such as ottomans, trunks, folding screens, table linens, table skirts and just about any other item you can imagine for residential or commercial applications. Angels Distributing Inc. drapery lining distributor serves all of your drapery lining needs. Angels Distributing Inc. is a family owned and operated drapery lining distributor and has been in operation since 1977. Our commitment to our customers is to offer only the finest drapery linings at the best possible pricing. Angel’s full bolt lining program offers to its customers, same day shipping service, provided orders are placed by 3:00 PM EST. We offer the best pricing on full bolt drapery lining purchases. Should you find a lower price on the exact same lining and quantity, we will match any published price, plus an additional 5% discount. We also offer full case pricing available for those with large fabrication jobs. We can mix and match all varieties of lining to help you achieve the lowest full case pricing. We also have contract pricing available. For more information on these various special pricing programs email Ralph@angelSliningS.com or call Toll Free 1-800-450-9368. Arabel offers the widest choice of fabrics, PVC and parts for Vertical and Horizontal Blinds. We are one of the largest distributors of components for the Window Treatment industry in the Southeast. With over 3 generations of combined experience, Automated Motorized Shades is firmly seated as the leader in the window treatment industry. We offer our dealers motorization solutions for all of our manufactured products and many of the products manufactured at our sister company Roll-A-Shade, making us your #1 choice for your window covering needs. Upgraded customer management systems, new product offerings, and our commitment to quality are always the primary focus at Automated Motorized Shades. We invite you to browse our products, view our new and exciting offerings, and experience our unsurpassed quality and customer service. From concept to completion, let us partner with you to deliver the ultimate window treatment solution to your customer. Our products are available exclusively through our valued dealer network and are all proudly manufactured in the USA. AV Composites, European leader in the manufacturing of insulating sandwich panels for the areas of veranda, shutters, construction, industry and fun. Over 32 years of supplying hardware to the furniture and cabinet industry: A.V.I. has now focused on providing the best service, quality and "Installer Friendly" hardware poly and wood profiles to the Shutter Industry. We are dedicated to out perform all competition in service, stock and pricing to the USA, Canadian and European/World markets. BAYAR LTD STI was established as a family company with 4 partners in Istanbul on 1992. It has 150 personnel and it is still growing with raising portfolio and innovations. BAYAR started to its business with electric products produced from engineering plastics and then it enlarged its activity area with curtain sector. BAYAR is experiencing the pride of being an innovative, developing firm and it is rising with radical manner in Turkey’s curtain sector and also it is contributing to national economy in export and global sales area by exporting to more than 40 countries. By the awareness of this growth potential discovery of the whole world in production, marketing and sales areas with firm steps forward was aimed. Sales dictate the bottom line and demand dictate sales. That’s why Belagio Enterprises’ products are so much in demand… because we stimulate sales.The people behind Belagio Enterprises know home décor and how to import the highest quality, popular and custom-created trims and decorative accents at reasonable prices, without sacrificing speed, quality or service. With over 25 years of experience and contacts all over East Asia, the people at Belagio Enterprises keep up to date with what’s hot, what’s new and the technologies available to make them better and faster at prices that will make your products in demand, too. From concept to production, we will partner with you to find or create the perfect product, within your budget and delivery schedule. Some of the industry’s top designers, retailers and manufacturers confidently showcase items made with Belagio’s products in metropolitan cities around the world because they know we keep our promise of quality. Please let us know how we can help you stimulate your sales and create demand for your products. BlindsBook is an integrated management cloud system for the window covering industry. It will save you time & money by eliminating human mistakes. Bloc Blinds, based in Northern Ireland, design and manufacture all types of window blinds for customers across the world. We love keeping on trend with the latest in interior design and fashion. Refresh your room with a Bloc Blind! Catania Silks is a manufacturer, importer, and wholesaler of high-quality silk. We are constantly working with our suppliers to create new designs. Catania Silks makes over 50 different styles of silk fabrics and each style comes in different colors and patterns. We also have trims and tiebacks imported from China and Thailand. Please browse our website to view the various silks Catania Silks offers. We sell our products to the trade only. Please contact Catania Silks to find out more. about us and our products. Catania Silks imports and sells fabrics and accessories to the trade only. Catania Silks carries a wide variety of Indian Silk fabrics in a plethora of colors and designs at affordable prices. Making 'custom' fabrics is Catania Silks' specialty. Call us for details. Changzhou Bestex Technical Textile Co., Ltd. is a Solely Foreign-owned Enterprise. It is a very important manufacturer mainly producing Solar Shade Fabrics and its products have covered domestic and abroad market. Comfortex Window Fashions is a leading manufacturer and fabricator of custom window treatments headquartered in historic Maplewood, New York which is just outside Albany. Comfortex is proud to offer a complete line of cellular and pleated shades, wood blinds, sheer horizontal and vertical window shadings and innovative cellular blinds. Creative Threads helps employ over 300 personnel in factories in India which include a design team of more than 30 that is constantly striving to raise the bar for designing. There is a constant and relentless pursuit of perfection on their part in trying to create unique designs that are synonymous to Creative Threads. In retrospect, having the privilege to work with clients such as Kravet, Fabricut, Schumacher, Kasmir Fabrics, Carole Fabrics, Country Curtains, we have amassed a wealth of knowledge in concepts and colors that keeps us on the cutting edge. Besides fabrics by the yard, we also offer ready made drapes, bedding ensembles, pillows, shower curtains, table linen and backed fabrics for upholstery. In the recent past, we have also ventured into the contract business where all our fabrics are certified FR 701 for commercial use. Working hand in hand with factories and design team in India also helps designers in the US realize dreams of creating their own unique patterns which would not have otherwise been possible. The fact that we offer embroideries on various base cloths such as silk dupione, 100% linen, linen/cotton blend, cotton organdy, velvet, silk organza, poly taffeta, double width poly organza and poly taffeta helps designers play with ideas and textures. Throughout our growth, it has been our priority to treat each customer with utmost respect and importance and we will always continue to do so in the future. We hope you enjoy your visit to our website in that it helps you to better understand our company and our capabilities to design and create not so, usual designs. That’s our belief and our mission. Wholesale Trim, Upholstery Nailheads, Jeweled Nailheads, Bullion, Tassels, Wood Fringe, Leather Fringe, Beaded Trim, Cording, Drapery Hardware, Jacquard. Get inspired by döfix Döhlemann GmbH - a leading manufacturer of window covering supplies. With a unique mixture of designs, technology and materials, döfix offers a variety of high end workroom products. Up till now, we have developed more than 400 quality items, from iron-on linings, assembling systems to production accessories. Our competitive products and iron-on series, in particular, result in professional- looking, stitch less and pucker free designs. They are, strong bonding, washable and dry cleanable. Thanks to these remarkable features, it is possible to take away the workroom tension while exploring the creativity of both designers and workers to the greatest extent. Our products are not only applicable in making high end window coverings but also provide solutions for tight and irregular space applications and extraordinary 3D effects. Our products are well received by a wide range of customers, from large commercial fabricating plants to home- based workrooms in more than 35 countries. Explore new possibilities - push the limits of creativity !!! Dongguan MSJ blinds co.,ltd is a professional blinds manufacturer focusing on the development and production of window coverings. We are a premium manufacturer and wholesaler of commercial and residential drapery hardware, decorative hardware, and motorization products. Our company is founded from many years of industry knowledge of window covering solutions from a manufacturing and interior design standpoint. We are looking to fill the growing demand for affordable quality drapery hardware by producing only the highest quality items sourced with the best materials. All products are designed and specified following strict commercial standards to ensure product quality and durability. Eisenkolb has an extensive dealer network. Currently, we are represented in 16 countries all over the world. As we continue to grow, we are always looking for qualified dealers. We offer you a balanced range of machines, services and materials. Our professional support will always keep you up to date regarding the latest developments. We offer you assistance for initiating activities by supplying machines and/or support. You will have a wide range of promotional materials at your disposal such as brochures, leaflets, CDs and of course, a series of manuals. A leader in the home furnishing industry, EuropaTex offers the finest in home furnishing products. We specialize in fabrics, trimmings and accessories for interior design. As the leading wholesale carrier of trimmings in the U.S., we attribute most of our success to our exceptional customer service provided to our clients with our family-like atmosphere. Exus Shutters and its parent company have delivered quality window custom products for more than 15 years to wholesalers and retailers worldwide. Since 1968, we have provided great products and excellent customer service! Continuing this core tradition, we are pleased to offer a convenient way to preview our products online at your convenience. We feature many quality products including a variety of hinges, magnet catches, shutter dogs, shutter pins, accessories and more in finishes that compliment a wide variety of styles and decor. Fairway Shutters by A&J International LLC located in the city of Chino Hills, California. The area is a great logistical hub with a large network of highways and close proximity to LAX and the port. Fairway Shutters provides high quality basswood shutters that would bring beauty, elegance, and value to all windows and doors in residential houses or commercial buildings. Fenstermann LLC was founded on November 20, 2002 in San Diego California by Ingo Scholz and is specialized in Windows, Doors and Window Treatments Made in Germany. flair21 offers the largest selection of wide-width sheer and drapery fabrics. Our high-quality fabrics create custom window treatments that last a lifetime. Forest Drapery Hardware is an importer of drapery products to enhance your view on the world. We offer a wide range of metal, wrought iron and wood decorative hardware to provide the finishing touch to your window treatments whether your design calls for traditional or the most contemporary hardware. Global Fabriks is dedicated to converting and distributing innovative textile products to the window fashions industry while exceeding customers’ expectations. Design, production, quality and price is where we excel against our competition. Shaped by powerhouse names in the window fashion industry, Global uses its wealth of experience to make any textile idea a reality. Here, customer service takes priority. Golden Champion was founded in 1972 as an original equipment manufacturer (OEM) in Taiwan. Since our establishment we have developed into a well known original design manufacturer (ODM) in the International Window Covering Industry. Golden Champion is a wholly owned subsidiary of King Koon Industrial Corporation. All our products are produced, packaged and shipped from our factories in China & Vietnam directly to retailers and distributors. Hanes Fabrics is a converter and distributor of drapery linings, blackout fabrics, interlinings, sheers, and bedding textiles for use in both the residential and contract/hospitality markets. Our focus is to provide our customers with quality, service, and value – high-quality products that meet or exceed customer expectations and exceptional service at a fair price. HANGZHOU BINTHEN INTELLIGENT TECHNOLOGY CO.,LTD is located in Hangzhou ,which is standing on the front of technology in China. We engaged on design,research,manufacturing and sale for shading products. BINTHEN is bulid upon a strong R&D team and prossess the innovation ability. BINTHEN has inheritance spirit,produce excellent products,we are committed to create high quality shading products for every home. The company design and produce intelligent products, tubular motor,curtain motor, venetian , remote controller and accessories. Perfect R&D system is the assurance of BINTHEN quality. Founded by William “Bill” Harris in 1958, Harris Pillow Supply began as a franchise of Fluff ‘n Puff Pillow Service in the Chicago area. Bill traveled around the area; cleaning pillows at hotels, nursing homes, hospitals, colleges and other businesses. The following year Bill purchased the inventory of pillow cleaning machines from Fluff ‘n Puff when the company filed for bankruptcy. He began sewing his own ticking and selling the pillow cleaning machines to laundry service businesses and dry cleaners. He later redesigned the pillow machine to the Pillow-Vac that Harris Pillow Supply still manufactures and sells. Homewip is a powerful estimating and ordering solution for custom drapes and shades – a new growth tool for your business. The International Furnishings and Design Association's (IFDA) mission is inspiring collaboration within the furnishings and design industry to support its people, their products and services. Imperial Fastener is a leader in the manufacturing of Cubicle Curtains, Cubicle Tracks, IV Track Systems along with a variety of specialty curtains. We are a family owned and operated business located in Pompano Beach, Florida and have been serving the industry for over 40 years. In this time we have serviced an extensive clientele worldwide. Indow was launched in November 2010, delivering an easy-to-use window insulation solution in an elegant form. Our window inserts are now available across the U.S. and Canada and we are growing! Our dynamic team is dedicated to building and refining our product, custom making each insert to fit drafty or under-performing windows. Our mission is to provide you with comfort, quiet and savings while helping preserve the environment and historic buildings. industry. We are a company of innovation with a deliberate pursuit of excellence. We are focused on bringing the best in quality and innovation for insulating glass units and everything of value that we can place between the glass. ITA is an independent, expert provider of innovative products and comprehensive support to serious manufacturers in key markets around the world. Using a client driven business model, each sales program is customized to give a customer greater control over inventories, style allocations and sales channels, free from the merchandising demands and limitations imposed by many of our competitors. Jim Fine Wooden Products Co.,Ltd - Manufacturer, exporter and supplier of wooden shutters shutter components wood mouldings products. LA Freds is a Los Angeles based company boasting over 20 years of existence. We are recognized for our affordable, high end and trustworthy selection of upholstery and drapery. Liyang Xinyuan Curtain Products Co.,Ltd. Was found in 1993 which is majored in manufacturing all kinds of blinds, like PVC mini blind,Aluminum mini blind,Wood mini blind,Bamboo mini blind,Bamboo roll up blind,Bamboo Roman shade,Fabric roll up blind with chain control/spring control,straw/jute curtain.pleated blind,string curtain,zebra blind,etc. ,and exporting to the countries all over the world. Our products have passed ISO9001:2000 and test by MTL institute. After 20 years of hard work ,now we are becoming the biggest environmental technological blind manufacturer in China Mainland. Dedicated to providing you with the very best service available, Lotus maintains two distribution centers: our West Coast facility located in Chino, California and our East Coast facility in Memphis, Tennessee. This allows for quick delivery anywhere in the continental U.S. We can also service additional markets in Central and South America from our U.S. facilities and directly from our factories in China. Lotus excels in processing orders from a single carton to multiple containers and everything in between. At Lotus & Windoware, Inc., we are confident that you will find the window treatment solutions to meet your needs. LuXout Shades is part of The Specialty Group, Ltd. Corporation headquartered in Richmond, Virginia. We have been making stage curtains since 1948, started dry cleaning residential draperies in 1967 and began making window treatments in 1982 as a drapery workroom to the Trade. We ceased dry cleaning draperies in 2013 to focus on our shade production. As a "to the trade" workroom we have learned how important quality, integrity and reliability are to our trade customers. We used this understanding of the trade business to apply to our shade manufacturing business. The South East's premier Window Treatment manufacturer and distributor. We serve dealers, designers, multi-family and hospitality segments. A worldwide known supplier of premium drapery hardware located in Doral, Miami, FL, USA. With over 20 years of experience in the industry of drapery hardware, our staff offers exceptional attention and customer support to all our clients. Mitchell Fabrics has built a nationwide reputation as a wholesale supplier of drapery fabrics, drapery hardware, and custom blinds, shades and decorative window coverings. My Designer Concierge understands that operating a small business is challenging and we are here to help. We have accounts with 100 leading vendors in the soft furnishings industry to make ordering easier while saving you time and money. FABRIC ~ TRIM ~ HARDWARE ~ LINING ~ PILLOWS ~ TOOLS ~ SUPPLIES. Established in the early nineties, Nice S.p.A. is one of the major international names in the Home Automation market. The Nice Group offers a wide range of integrated automation systems for gates, garage doors, road barriers and parking systems, awnings and blinds, for residential, commercial and industrial buildings, as well as wireless alarm systems. At Milton Decorator Fabrics, you’ll find an extensive selection of upholstery fabrics from the very best textile mills and distributors. Fabric companies such as Number One Textiles, P. Collins Fabrics, Pindler & Pindler Fabrics and Stroheim & Romann Fabrics are among the many designer fabric labels we offer. Regardless of your style preference, be it modern, contemporary or traditional, you’re sure to find the right fabric for your home design project. Oceanview Window Coverings, offers a wide variety of high end window treatments. Handcrafted in the USA with high quality accesories and fabrics. OnSite Fabricare offers a complete package to add your own onsite drapery and fabric cleaning division to your existing business. Whether you are an interior designer, a window treatment installer, a dry cleaner, upholstery/carpet cleaner or a housekeeping/janitorial service, our wet/dry cleaning system and global proprietary cleaning techniques will give you an added profit center. Orion Ornamental Iron, Inc. is an innovative custom drapery hardware manufacturer based in North Hollywood, California where we design, fabricate and hand-finish all of our products. Iron Art™ by Orion, Wood Art™ by Orion and Design Art™ by Orion are the brand names of the three distinct lines of drapery hardware manufactured by Orion. Our mission is to continue to create innovative designs and engineer solutions to meet the demands pertaining to the decorative drapery hardware industry. Phifer Incorporated is the world's largest producer of aluminum and fiberglass insect screening. We're also proud to be leaders in the solar screen, drawn wire, interior solar control fabrics, engineered products and outdoor designer fabrics industries. Plastibec is a leading manufacturer and supplier of vertical louvers, horizontal slats, and valances as well as vinyl millwork and deck cover products. We are an established extrusion company with over twenty-five years experience. Plastibec’s ever-growing extrusion capabilities continue to supply the industries we serve with award winning products. We are a family owned, MADE IN USA fabric printing company located in Sherman, Mississippi. Our large line of affordable designer fabrics range from traditional to modern and can be used for everything from upholstery to clothing! Progressive Screens was founded in 2002 by Arthur James, Jr. Arthur has extensive knowledge of the motorized screen industry, and has spent the last 15 years perfecting our motorized system to be the best system available, at an affordable price. Progressive Screens is one of the pioneers of the industry and will continue to lead the market in innovation and design. Founded at 1996, we at Ramtex are a leading wholesale supplier of the finest and most attractive textiles for multiple uses. Ring Ring Marketing is a pay-for-results online marketing company that specializes in making funeral homes, window & door companies and window company get more leads from online direct to their phone line. For over 35 years, we at Rose Lace have been one of the design industries premier resources for tassel fringe and tassel trim. We are direct manufacturers and importers of high quality trim and tassel products. Rowley Company offers customers a one-stop-shop for window coverings and home decor supplies. From designer drapery hardware, to innovative workroom and installation tools - you'll find everything you need to create elegant window covering designs for your business. S&S Decorative Fabrics is a wholesale distributor of today's most desired fabrics and trims. We proudly offer the most competitive prices in the industry on items from linings to silks, while carrying top quality goods. San Benito Shutter was established in 1990. We began as a small wood shutter manufacturer based in Northern California. We have grown in the past twenty years, from a one-man-show working out of a residential garage, into a major leader in the shutter industry. We exclusively manufacture and distribute shutters and shutter components. By keeping our focus on one element of the vast window covering industry, we have been able to become true specialists in our field. Draperies, blinds, sheers, and shutters all have very different manufacturing needs and requirements. We have chosen to focus on one product in order to provide the very best that our division of the window covering industry offers. Sani USA, based in Buford, GA, is the leading manufactor providing solution for the U.S. Window Fashions Market. By Representing equipment from manufacturers around the globe, our own specialty equipment, and custom plant efficiency consulting, we help our customers increase productivity while lowering costs. Our manufacturing facilities work closely with us to focus on new product innovation and production performance to help the fabricator improve his bottom line. We maintain an attractive product mix, and provide personal and reliable customer service. Our skilled and helpful team ensures longevity and performance from your machine investments. Your ultimate fabric source. SenBesta, a SB2 Concepts Company is a leading wholesaler of roller shade materials that offers high quality competitively priced products and enjoys exclusive distribution rights from some of the best manufacturers in the world. With an experienced team who has been servicing the window covering market globally for over 30 years, today, SenBesta services and supports window treatment fabricators in the USA, Canada and Mexico. A workroom management system to improve efficiency and productivity. Fillable Measuring Diagrams: Windows, Specialty Windows, Bedding and Accessories. Workbooks that figure yardage, labor, and hardware: Traversing Panels and Stationary Panels available in both imperial and metric. Bundles that help with productivity in the workroom as well as bundles for designers and a Project Tracker to help you keep your finger on all aspects of your projects. Established in 1988, Shade & Light, Inc. supplies small to medium volume Trade-Only Wholesalers and Retailers with superior products and unprecedented service. Shade and Light is the source for all your Fabric Roman Shades and Soft Window Fashions. SHANDONG MOONA FURNITURE MANUFACTURING CO.,LTD is large woodwork enterprise in China with 20 years history in manufacture and import & export business. Shandong Shouguang Fugelin Curtain Upholster Co., Ltd is located in Dongcheng Ind. Park,Shouguang City,Shandong Province---the biggest Green Industry Base in Asia. Our company is special for producing the aluminum slats for venetian blind. With three imported aluminum slat coating liners and two sets of precision cutting machines,our annual output is 300,000 coils of every kinds of paint aluminum slats and 5,000 MT aluminum coils. Shandong Kingo Window Decoration Co., Ltd. is a professional manufacturer in blinds and shades. Solatech simplifies and streamlines the sales and fabrication of window coverings. Since 1992 the window fashions industry has been our sole focus; we combine decades of industry experience with deep expertise in applied technology, to offer powerful and practical software solutions that help window fashions professionals increase the efficiency and profitability of their businesses. We are a wholesale window coverings company and leader in custom made poly clad wood shutters with a network of retail dealers throughout the southern US. Sunmate Window Coverings Technology Inc is a wholesaler of roller shade fabric in USA. WE STOCK & SERVICE FABRICS BY YARDAGE, BY THE ROLL WITH SMPLEING AVAILABLE. Tableaux® Decorative Grilles are a unique expression of a time-honored lattice art form that goes back at least 4000 years. It’s the perfect synergy between old and new, art and craft & technology and experience. We custom design and manufacture Decorative Grilles to your specifications using various materials. Our most popular substrates are composites, wood veneer, and metal. Columbia Porch Shade manufactures shades in the USA for windows, porches and lanais. Our Porch Shades are woven with sustainable American Basswood slats, extra-heavy twine and stainless steel hardware for years of outdoor or indoor use. Maker of Custom Cordless Window Blinds & Shades. We are a No-Nonsense company that produces and sells high quality and luxurious window covering fabric and hardware collections all over the world. All our efforts are directed at ensuring that our customers never receive less than what has been promised to them. This can be seen in the attitude of everyone at Top, where we constantly strive to exceed our customers’ expectations. Developing new fabric designs is a passion at Top. Creating an exciting extraordinary new collection of products for every season to delight our customers is what we are all about. Unique Wholesale Distributors is one of the leading shading fabricators in the United States and was established in 1980. The product portfolio includes fresh, innovative and fashionable custom-made roller shades, horizontal blinds, panel tracks, roman, pleated, honeycomb and sheer shades, fabricated from hardware components and fabrics from leading brands and manufacturers from all over the world. Manufacturer of Universal MotionScreens. Retractable screen solutions for everyone. We manufacture the finest manual & motorized retractable shading solutions on the market, the Arion Shading System and the Universal MotionScreen. We use only the highest grade materials in the construction on each outdoor retractable shade, and back them up with a Limited Lifetime Warranty. Universal Window Coverings, Inc. began as a family operation, distributing vertical slats and components to make vertical blinds. We are still strictly a wholesale fabricator and distributor, but over the years, we have grown and expanded our product line to include a full line of window coverings. Still family owned and operated, we remain dedicated to our tradition of quality and skilled workmanship. Vako is a international manufacturer of curtain systems and accessories. Innovating solutions for your windows. Ventana™ window covering components is recognized as a quality supplier to world-class companies and as an innovator in the window covering industry. Recent additions to our component systems include roller shade components, roman shade system, and specialty window covering components. Our manufacturing capabilities include injection molding, tooling, metal stamping, roll forming, wood processing, and wood finishing. We are dedicated to producing the finest quality products at competitive prices and we have achieved this through innovative product design and efficient production methods. MyBlindCo - Window Covering Software for iPad, Window Treatment Software, Window Treatment CRM. Vista was founded in 1980 and has been committed to producing fashion forward, quality window coverings that provide years of lasting value. Our headquarters are located in Jacksonville, Florida with an additional manufacturing facility in Hamlet, NC. We have a wide array of products proudly assembled in the U.S.A. In January 2007 we became part of the Hunter Douglas Window Covering family. Hunter Douglas is the world-wide leader in window covering products with 200 companies located across the globe. The Window Coverings Association of America is the only national nonprofit trade association dedicated to the retail window coverings industry and its dealers, decorators, designers, and workrooms who are our members. WCAA was founded in 1986 as a division of the National Decorating Products Association. In 1993, the association left and became the Window Coverings Association of America. Today the WCAA has almost 1,000 members in North America, Europe and the Caribbean. Winstar is a Vancouver based manufactory, offers a large selection of high-quality wood blinds, faux wood blinds, bamboo blinds, zebra blinds, Shangri-la blinds, roller shades, plantation shutters, Draperies, and so much more at a great value to our customers. By eliminating the middle man, we control every aspect of the consultation and installation process. With over 18 years in the custom window treatment business we promise to give you the best in quality of products and price. Wintec Korea offers a wide array of services, from product development and design, to production and A/S services. Wolff Industries is the world’s largest manufacturer of industrial scissors sharpeners. Specializing in stainless steel shears with edges sharper than can be obtained elsewhere. Brands include: Wolff®, Twice As Sharp®, Ergonomix®, OOKAMI®, OOKAMI Gold®, Kai®, Mundial®, HomeStar®, Dritz® and other leading brands. Yunlong Wood Industry has proudly served the wood blind manufacturing industry for over 20 years. Our success has been built on consistent delivery of exceptional quality, value and professional attentive service. By focusing on key elements to your success, Yunlong will enhance your bottom line and reputation as a supplier of unmatched quality products. ZMC was established in 1986 in Toronto, Canada producing coilstock and rails for venetian blinds. Originally designed as a 1” aluminum coater only, the company has blossomed to meet the ever-growing needs and demands of its customers. Today, our product lines includes micro (1/2") blinds , mini (1") blinds, 2" blinds , Roller Shade Components, Roman Shade Components, Panel Track , and a wide variety of Fabrics. Registration is located at West Registration close to the West Hall. Earn your WFCP Workroom Certification with Staci Falkner during this intensive one-day session. You will receive preconference manuals and information to prepare you to maximize this powerful program. Invest in your career and your future. Be recognized for your knowledge, skill, connections, and experience. Gain an advantage over your competition and increase the potential for greater revenue. Become a Window Fashion Certified Professional. Learn business setup procedures and structures that benefit our industry best. Create workroom forms that will help you stay organized and ensure that the necessary information is there to fabricate projects in a timely, professional manner. Textiles basics taught specifically for soft-furnishings fabrication. Panel construction methods to help workrooms create consistent, professional products that will please even the most challenging clients. Valance and cornice fabrication instructions that will add another layer of texture and revenue to your workroom business. Functional shade fabrication, including hardware and regulations, to meet standards for cord safety. Basic bedding construction for bedskirts, coverlets, and accessory pillows that turn any room into a luxury retreat. 30 days of email support for testing and fabrication projects. Custom Soft Treatments Handbook of Common Practices. WFCP Certified Workroom Specialist Testing. Get ready for an intense day of education in window-treatment design with Jill Ragan Scully. This detailed class will fully equip you with the necessary skills to design and execute beautiful window treatments for your clients. You will gain knowledge to successfully operating a successful window-treatment business of your own. Participation in this class will assist you with passing the WFCP Design Certification test. WFCP is formal recognition that an individual has demonstrated comprehension and proficiency within the window fashion industry. Window Fashion Certified Professionals are an elite group that distinguishes themselves through their knowledge, connections, and experience. Quite simply they are the best in their field and have earned this recognition by preparing for and passing a rigorous industry test. Invest in your career and your future. Be recognized for your knowledge, skill, connections, and experience. Gain an advantage over your competition and increase the potential for greater revenue. Become a Window Fashion Certified Professional. This all-inclusive program will cover everything from the basics of motorized window coverings to the advanced techniques of designing and installing custom motorized window covering projects. The program will educate you on the correct terminology, the different types of motors and control options available, and allow you to identify and suggest the proper power supplies for all types of projects. It will also show you how to design and manage all aspects of custom motorization projects for both residential and commercial projects. You will learn how to specify wiring, power supplies, and location of hardware needed. You will learn specific installation techniques to minimize your costs and limit return service calls to allow for larger overall profits per project. We will discuss some of the newest technologies in automation including voice control and how to integrate with other components including A/V systems, HVAC, and lighting. Bye the end of this program you should feel confident in working you’re your clients, contractors, electricians, and automation programmers to sell, design and install custom window covering projects of all sizes. Come celebrate with IWCE exhibitors and VIP attendees at our pre-show kick-off party on the water! Enjoy live music, appetizers, and your favorite beverages while networking with suppliers and peers in a fun, relaxed setting. The Madcap Cottage gents, John Loecke and Jason Oliver Nixon, are the masters of prints and patterns. Just check out their recently released book from Abrams, "Prints Charming: Create Absolutely Beautiful Interiors with Prints & Patterns," the Bible to finding and embracing your pattern personality. And with their fabric lines for Robert Allen @Home and window treatments license with Smith & Noble, the Madcap gents really know how to create window treatments that sing with bespoke style and surprise-and-delight details. Join the duo as they discuss the power of prints and pattern in transforming nice interiors to absolute knockouts. Most couture fashion trends would look absurd in our clients’ homes, however, many of the innovative fabrications, textiles, embellishments, and color palettes seen on the runway serve as great indicators and inspiration for what will trickle down to decor in surprising ways. Take a fast-paced visual tour with embellishment expert and design blogger Jana Platina Phipps, known as Trim Queen, through what’s “haute” and which trends can be integrated into your design work most successfully. Want to step it up a notch? Industry veteran Beth Hodges will help you to develop methods that will make your window treatments a step above the rest. She will share ways to place your work above your competition and help you develop methods of construction and planning that will still elevate your designs in a way that will allow you to be a profitable business. Cheryl Meiklejohn presents a “must-take” seminar for those wanting to perfect custom window fashion designs and specifications. Window treatments are a complex business from design details to specifying and selling. Design professionals who master this lucrative interior design specialty set themselves apart! Tricks of the trade—from design, fabrication, installation, and presentation to your clients. During this session, we will be taking a look at each of the five stages of the sales cycle and will dive deeply into a few of the most impactful moments in the cycle. Discover a series of steps that have helped so many businesses in our industry book more appointments and make better use of those appointments by having clients that are ready to buy and sales consultants who are ready to close the deal with integrity and grace! Participants will get access to a digital blueprint for sales success! Email marketing is still one of the best marketing tools for keeping the leads warm and closing the sale. Come learn how easy it is to setup and implement email marketing in less than 90 minutes. Creative Marketing Ideas for Creative Entrepreneurs It is easy to start a business. People do it every day but staying in business, that is a completely different story. Join JoAnne Lenart-Weary, a 40+ industry veteran, as she shares smart marketing, business and communication ideas you can implement in your business. Building your bottom line doesn’t have to be time consuming and labor intensive. Perhaps you have become complacent or simply don’t take the time to truly analyze your business persona. Just a few minutes a day can increase your market share, build an awareness and improve your business standing. This seminar is filled with quick and fast ways you can improve your marketing strategy, social media awareness, website appearance and most importantly, increase your revenue. If you are intimidated by motorization or would like to learn more about how to sell motorization, this is an easy-to-understand class and the first step to becoming a master in motorization. You will learn and understand the correct terminology, the different motor types and control options, and you will be able to identify and suggest the proper power supplies. By the end of the course, you will have a firm grasp on the options available to you and how to relate that to your clients. What does it take to become a drapery expert? Knowledge…knowledge…knowledge. Join Cheryl Meiklejohn, owner of Rainbow Draperies who has done this for over 26 years, as she shares a variety of different styles of drapery. What does your customer really want? Does she want her drapes to be fully operational and clear the window? What style should she be choosing? Is her home traditional or more contemporary? Cheryl will show you which styles will stack nicely and which are better as side panels. Why we use different fullness in our drapes? Why we use different header widths? LOOK LIKE A COLOR PRO…IN 90 MINUTES Now let’s be honest, it isn’t quite that easy. But in just 90 minutes, Color Authority, JoAnne Lenart-Weary will arm you with enough color tips, tricks and hacks to boost your color confidence. Color is the most intimidating part of the design process. Join color expert, JoAnne Lenart-Weary, as she shares color tips anyone needs to know. Whether you are staging or decorating, color can make or break the project, learn how to become a color hero, not a color zero. Have you heard that flat fees are all the rage but you are not sure how to make them work for you? Are you currently using an hourly model or markup model and really want to be a bit more streamlined and simplistic in your quoting—but are unsure of how to go about it? Michele Williams will explain it all! Join her to learn about the inputs that are necessary for flat fees to work. Don’t leave money on the table—or worse—give away all your expertise and time for a bottom-basement fee. More than 50 percent of online traffic is now conducted on mobile devices. Google also just made an announcement that it will start to index mobile versions of your website first. Come learn how to attract mobile visitors who are looking for window coverings and how to monetize them into phone calls. Kirsch is proud to sponsor the VISION Design & Workroom Awards Show for the second year in a row! Honoring the best and brightest in our industry, join us for a fun-filled evening as we Blast to the Past 80’s Style! Kirsch is committed to innovation and excellence, recognizing the amazing talent that inspires us in the Window Coverings Industry. The awards show will be held Tuesday, March 27th, 6-7 p.m. at the Tampa Convention Center, Ballroom A. The registration deadline is March 1st! Join longtime industry professional Beth Hodges as she explains her methods for converting that picture your client/designer brings you into a beautiful, functional window treatment. Learn what resources you can turn to that will give you an idea of how to create patterns and “mock-ups” in order to make it easier to create that masterpiece. Heighten the level of confidence you have in your own knowledge and experience in order to eliminate the fear of creating something you have never made before. If you are comfortable selling standard motorization for window coverings or have attended the Introduction to Motorization seminar, this class will take you to the next level of custom motorization. It will allow you to speak confidently about motor options, power supplies and control options including Voice Activated Motorization. It will define the correct terminology when describing the motorized window coverings to prospective clients, electrical engineers and automation integrators. Join our very own WFCP Workroom and Design expert instructors Staci Faulkner and Jill Ragan Scully as they share with you decades of workroom and design experience. This dynamic duo has teamed up for an amazing IWCE-only presentation that is dedicated to boosting your workroom and/or design business. They will be sharing time-saving tools, productivity tips, and various techniques that will leave you wanting more. That elusive luxury market, how do you get your foot in the door? And a better question is, how do you succeed once you are in? Well, there’s no secret handshake but there is a right way and a wrong way to handle this clientele and LuAnn Nigara is very happy to share it with you. With more than 30 years’ experience selling high-end window treatments from NJ’s Gold Coast to the NY Hamptons, she understands the steps you need to master in order to be successful in this exclusive market. What does the luxury client want? Do you have what it takes to do business in this market? When it comes to choosing the right hardware for your drapes, Cheryl Meiklejohn, author of her book Details Behind the Design, has tried them all. She started out sewing and installing her own draperies for clients so she has knowledge of what hardware to use and which ones to stay away from for particular applications. She will show you how you have to measure so that you choose the correct hardware. Which hardware is best for workable drapes? What style of finials to use? Most businesses focus on traffic generation to their website. They spend a lot of money to send traffic to their website and yet their phone is still not ringing. Learn the top 10 proven factors that you must have on your website to convert website visitors into solid leads. Styling Secrets and Strategies -Get it right the first time. Good design is good design but often, we get in our own way. Plus, our clients often have homes filled with things they don’t know how to use or a room desperately in need of suggestions. JoAnne Lenart-Weary is the Original One Day Decorator and a master at the art of styling a room. She blends the art of arrangement (what many call redesign) with color, shopping and window treatments to create a room that rocks. Learn how to transform a room quickly, select a color palette, shop smart and most of all, make money. No matter where you are in your business, Madeleine MacRae and LuAnn Nigara have proven strategies to help you grow, not in 2 years, not in 3 years, but this year in 2018. Are you doing $70,000 in sales and want to do $120,000? Are you doing $500,000 and want to do $650,000? It doesn’t matter, Madeleine and LuAnn are experienced industry pros and by the time you leave this seminar you will know the steps you need to take your business to the next level. Learn how to work smarter, more efficiently, and more profitably so you can set and reach your sales goals.